From 7am on Sunday 11 June until Wednesday 14 June, services 13 / 14 and X25 will be unable to serve normal routes due to road closures. A free shuttle bus, funded by Durham County Council, will run between Witton Gilbert and Arnison Centre via Sniperley, Sacriston and Nettlesworth. Service 13 will be unable to operate between Witton Gilbert and Blackie Boy via Sacriston between 7am and 7pm each day between Monday 11th and Wednesday 14th June due to Witton Road/Sacriston Lane being closed for resurfacing. This service will temporarily operate between Langley Park and Durham via Kaysburn, Lanchester Road Hospital, Sniperley, Blackie Boy, Aykley Heads and County Hall in both directions. A shuttle bus will link Witton Gilbert to Sacriston. 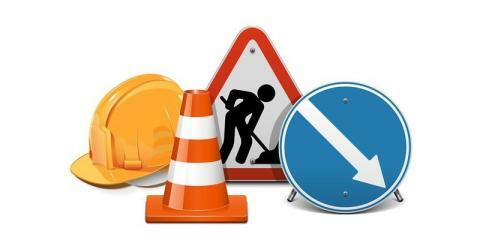 Service 14 will be unable to operate between Witton Gilbert and Sacriston between 7am and 7pm each day between Sunday 11th and Wednesday 14th June due to Witton Road/Sacriston Lane being closed for resurfacing. Also, Pit Bank between the A167 and Nettlesworth is also closed at this time for resurfacing, so buses will omit Kimblesworth . Service 14 will temporarily operate between Langley Park and Durham via Kaysburn, Lanchester Road Hospital, Sniperley, Blackie Boy, Framwellgate Front Street to Arnison Centre, Aykley Heads and County Hall in both directions. A shuttle bus will link Arnison Centre to Nettlesworth and Sacriston. Service X25 will be unable to operate between Witton Gilbert and Sacriston between 7am and 7pm each day between Monday 12th and Wednesday 14th June due to Witton Road/Sacriston Lane being closed for resurfacing. This service will temporarily divert NON-STOP between Witton Gilbert and Sacriston Cross Roads via Lanchester Road, Sniperley roundabout, Blackie Boy roundabout and Findon Hill in both directions. The route between Langley park and Witton Gilbert and also Sacriston and Newcastle will operate normally albeit slightly late due to the length of the diversion route.